Fatuma is from a Muslim family in the slums of Nairobi, Kenya. She was born in 1997 and cannot remember her father because he left the family when she was very young. However, she does remember her mother. Fatuma remembers how her mother could no longer feed her and care for her. She vividly remembers the day her mother abandoned her, leaving her all alone in the streets of Kenya. The only person Fatuma could turn to was a grandmother who also lived in the slums and who also could not afford to properly care for her. When the grandmother heard of an organization in the slums that was teaching and caring for the local children, she decided to take Fatuma to the school. She left the girl there with the teacher. Praise God that the little school was our Gethsemane school and the teacher was Ruth, who is also one of our home mothers. Ruth took Fatuma into her own one room house until Gethsemane was able to establish our homes. After being at Gethsemane, and hearing about the gospel of Jesus Christ, Fatuma wanted to become a Christian. In February of 2006, she went to Ruth and asked her how to become a true born-again believer. 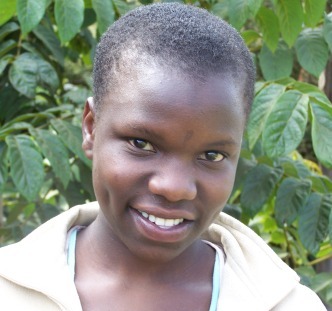 Ruth gladly led Fatuma to Christ, and for this we praise God! However, the story doesn't end there. Upon hearing of Fatuma's conversion to Christianity, her grandmother - a Muslim - showed up at our home very upset. She wanted to take Fatuma away from the home. Fatuma, however, stood up to her grandmother and boldly said "I have decided to follow Jesus Christ, Grandmother, and I will not return to your religion." The grandmother could not believe her granddaughter had the courage to stand up to her and left; alone and still upset. Ruth then took the time to visit Fatuma's grandmother on two seperate occasions. She talked with her and tried to share the love of God with her. On the second visit, Fatuma's grandmother gave her own life to Jesus Christ! We thank God for the work He is doing. That is why Gethsemane exists! The transformation in Fatuma's life served as a beacon of light to her grandmother. Please pray that Fatuma will continue to be courageous and bold about her faith in Jesus Christ. Please pray that Gethsemane will be able to see that same eternal transformation in other children and in our community.